The City of Cambridge has installed informational TransitScreen displays at three public buildings with support from a Healthy Aging Grant from the Massachusetts Councils on Aging, as part of the Mass in Motion program. Partnering with the Cambridge Council on Aging and Cambridge Public Health Department, the city’s Community Development Department conducted a series of community meetings with seniors focusing on “usability, mobility, and accessibility” to transit. The goal was to engage seniors in a discussion about their experiences with public transit, including challenges, barriers, and opportunities. 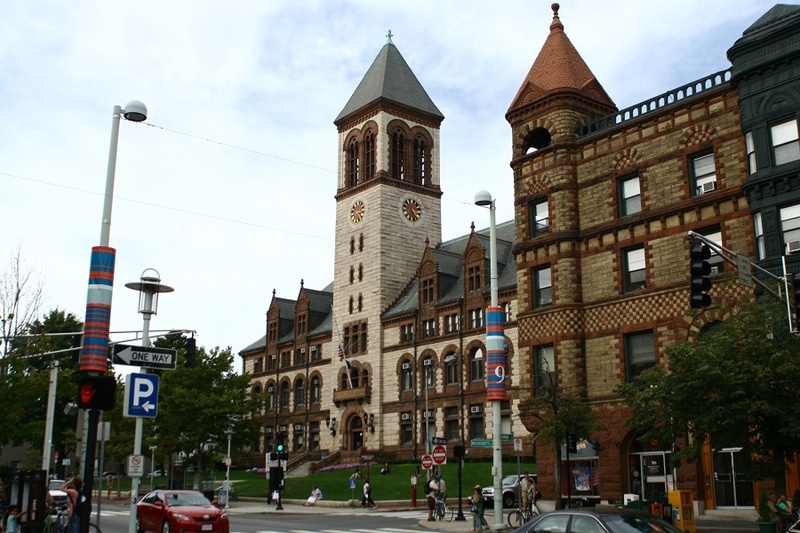 Based on the feedback from these meetings, the city implemented a series of efforts, including the installation of TransitScreen displays at three locations in Cambridge: the front window of the Citywide Senior Center at 806 Massachusetts Avenue; the lobby at Cambridge City Hall, 795 Massachusetts Avenue; and the Cambridge Public Library, 449 Broadway. The goal is to make transportation information more accessible, viewable and engaging so that commuters, visitors, residents, and employees can make informed transit choices. The TransitScreen shows the real-time arrival and departure times of buses, shuttles, trains and the availability of Hubway bicycles at specific locations around town. Please join Cambridge Mayor David P. Maher and City Manager Richard C. Rossi at a ribbon cutting ceremony for the new TransitScreen displays Wednesday, Feb. 11, at 9 a.m., at the Cambridge Citywide Senior Center, 806 Massachusetts Avenue. Iram Farooq, Deputy Assistant City Manager for Community Development will serve as Master of Ceremonies. Additional speakers will include: Cambridge Mayor David P. Maher and Claude-Alix Jacob, Chief Public Health Officer, Cambridge Public Health Department. Expected attendees include Cambridge city officials and representatives from the Massachusetts Councils on Aging, Mass in Motion, Cambridge Public Health Department, Cambridge in Motion, Mount Auburn Hospital, Cambridge Transit Advisory Committee, and Agassiz Baldwin Community Center. TransitScreen COO Ryan Croft will be speaking at the ribbon cutting ceremony, and our new City Manager of the Boston Metro Area Marcus Goodwin will be in attendance.